The family move, and a move for Tempt My Tummy Tuesday. Oh I am being silly. Did you think this was a post about something sappy and emotional? Hee hee. No, it is not that at all. I have two BIG moves to tell you about. My family is moving again. Yep! If you remember, we bought a new house over a month ago. We have been putting the “finishing touches” on the house and now it is moving da y!! Thursday is the day. Well, that is the day the moving truck and big men with strong, super large muscles, arrive at the house to move us. Currently, my husband and I are trying to move as much as possible. You see, we are paying by the hour. So, the less to move .. the better! Now, about something very exciting! I will be partnering with At The Well blog. 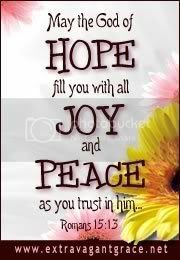 It is a wonderful Christian woman’s blog, offering hope and encouragement. The goal at At the Well is to encourage you in your role as a Titus 2 woman. I have been asked to join the team as a contributing writer. On the 2nd Tuesday of every month, you will find the Tempt My Tummy Tuesday blog carnival hosted, by me, at the At the Well website, for the “Reflections on the Home series. TMTT will continue to work just the same, great recipes linked and shared by us all. The only thing that will change, one a month, will be the location. I will post a link and reminder on those weeks, for you to easily click over and link up. I hope you are as excited as I about this change. If you are not familiar with At the Well, I pray that this once a month move will expose you to a place for all women to meet and encourage one another. Our first At the Well -TMTT will be Tuesday, September 14th. I will post reminders and a link on that day. Okay, I must get off the computer now! I have boxes that must be filled! Thanks for hosting again this week. I am getting all ready for next week when I am host a “Canning Week Blog Party” on my blog to hopefully encourage and educate others on canning. it should be a lot of fun too, hope you can stop by. Thank you for hosting this each week and praying for your new endeavor! 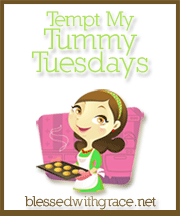 I’m excited to give tempt my tummy Tuesday a try! We haven’t participated in any blog hop events yet so we can’t wait! Good luck with the move! It has to be so nice and exciting to have your “final” place ready to move in. Fingers crossed it all goes smoothly! And ummm yeah, good luck cooking for now 😉 I remember those days! Hey Lisa – Glad you are getting settled and hope you’ll be there for a while. Wish I was closer to help you move! I just made a great strogan…(sp?) -help me w/the spelling. Brown ground turkey and onion in a skillet. When it’s done dice up some cream cheese (reduced fat is good) and stir it around to melt it. I then add about 1/2 cup of sour cream (again, light is fine) and milk for consistency. S&P to taste and serve over whole wheat egg noodles! YUMMY and so quick! This is my first post, friend. Hope I did it correctly! -Lori! Woo hoo! Love to see my dear friend on my blog! Thanks for sharing your recipe, Lori. Love ya, sistah! Ok, Lisa, I guess it worked. Now, is there a way for your posts to go to my email…I didn’t know you had replied until I logged on again…I’m a blog idiot, I know! Hee hee. Listen, it has taken me 2 1/2 yrs to learn this stuff! Make sure you have an email address tied to your Wordpress account. See if that will work. Hey there my friend, there is a plugin that allows your comments to go automatically to the commenters email. How exciting Lisa!!! Thanks for hosting too!! I am so excited to hear your news! I will definitely be visiting that blog! Thanks for sharing, and hosting! Congratulations on your new partnership! And thanks for hosting! Happy moving! Take a few weeks to unpack too…no recipe worries. Thanks for having us over each week for a fun party. Congratulations on your new position as contributing writer! Best wishes for an easy move! Congratulations! 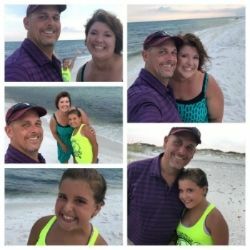 What an exciting new opportunity Lisa, and thank you for introducing us to another great blog! thank you so much for hosting this, I look forward to it every week! Thank you for hosting and good luck with the move! and At-The-Well is a great site…. Thanks for doing this linky! Can’t wait to see the new house! Congrats! Thanks so much for hosting…sorry, I’m a little late this week. I was not familiar with At the Well – but I’ll certainly get over there and check it out! So exciting for you! Thanks for hosting! Enjoy your take out! Congratulations on your move! So much work but what a joy to have a new place to live and explore! You probably won’t be making jam anytime soon but maybe your readers have some huckleberries in the woods around their houses??? Hi, this is my first time visiting your blog. Came over from Courtney’s blog at Women Living Well. I hope all goes well with your move. I also submitted my first post to the Tame your Tummy link. We’ll be doing the same thing in a few weeks! Exciting times! YAY you! moving and new writing assignment – I love beginnings!! Congrats with your new gig At The Well! Lisa I am sooo glad that you’re moving and not me this week! I have moved more times than I care to remember and it’s not my favorite thing. Good luck! This week’s post is a GF Pineapple U/D Cake cooked in my Dutch Oven. Thanks for hosting!! Exciting changes at your house Lisa. Sounds wonderful. Looking forward to your contributions at The Well. Thanks as always for hosting this fun site. 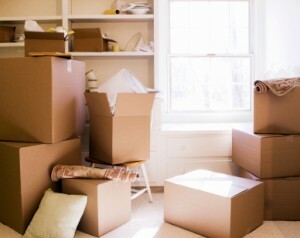 Good luck with the packing and moving! You have got to be a real pro when it comes to moving by now! I wish you the best in your new home. Chinese food, pizza and hot dogs are all good things to have on your menu!! Congratulations on the move and the partnership with At the Well. Congratulations on all of your exciting news! And enjoy your gorgeous new home! Thanks for hosting, and good luck with the move! That’s a daunting, but exciting, challenge. What a good news! Have fun on the move, can’t wait to see the place! Moving is always such a difficult time. Just think how much you’ll appreciate that first home-cooked meal in your new kitchen! Hope your move goes smoothly. I know moving is quite a job!! I’m excited for you about your new blogging partnership with At The Well. I will be checking the blogs. I just discovered your blog, and I love it! Can’t wait to see what the new blogging partnership brings, and I’ll be back to post more recipe links! Thanks for the kind words. So glad you found us!